53' Husky Stack Expansion. 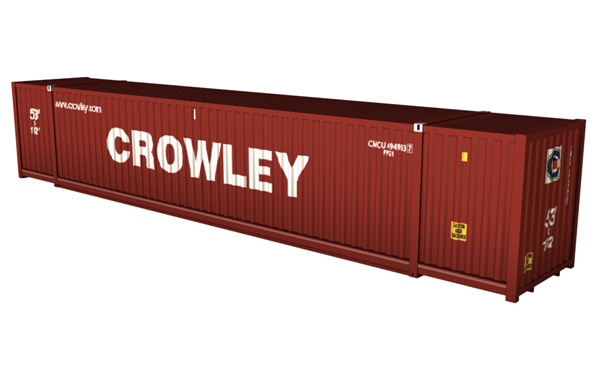 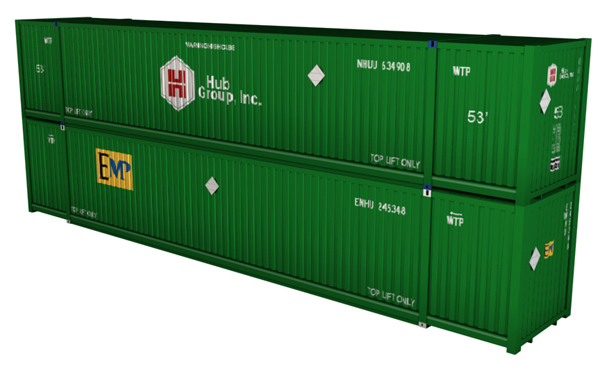 Containers can be used as static scenery objects. 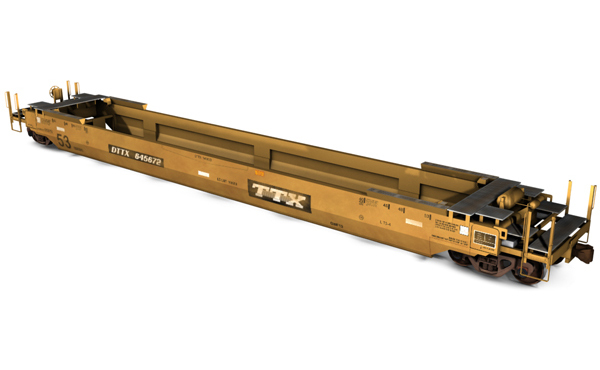 The Husky-Stack 53' car (HS53) is a high capacity, double-stack well car. 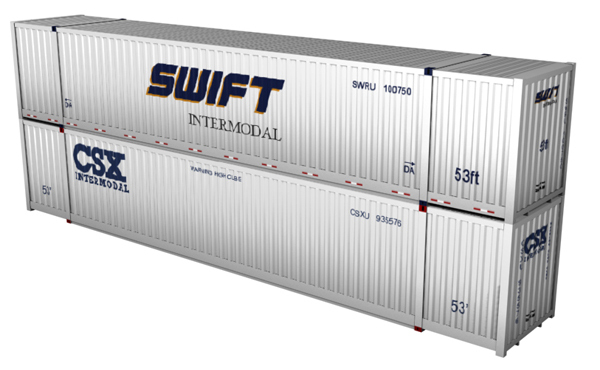 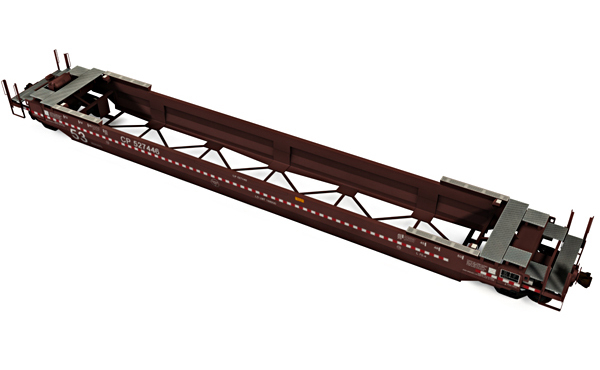 The HS53 is ideal for lanes where heavier container loads are prevalent. 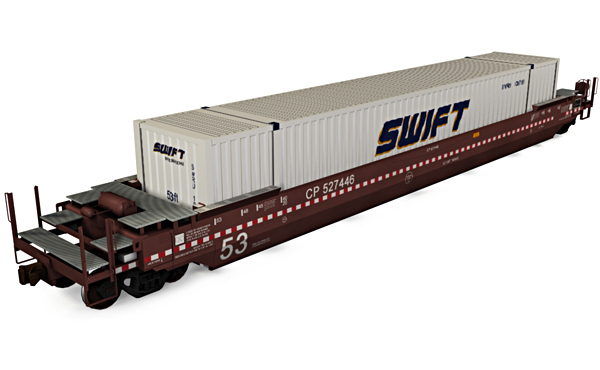 The HS53 carries containers from 20' to 53' long in each well and can handle containers from 40' to 53' long in the top position. 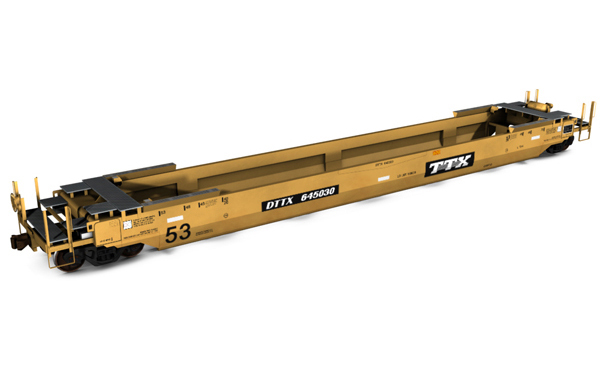 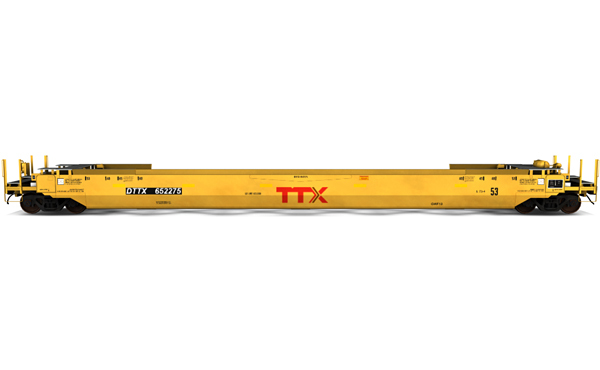 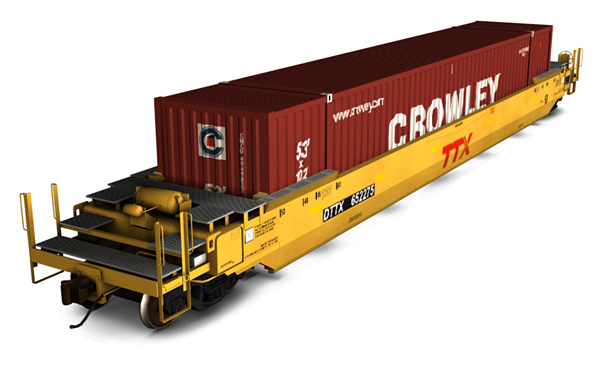 The HS53 can be operated as a single car or be configured as a multiple-unit drawbar car. 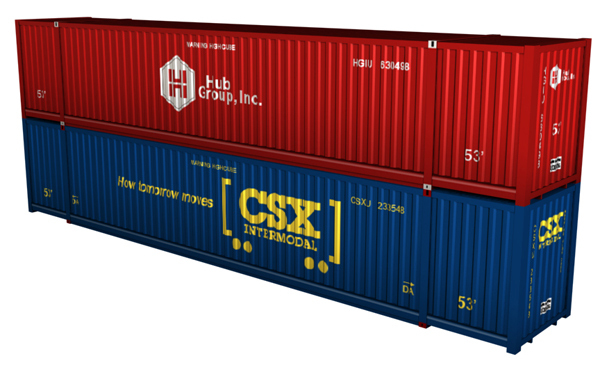 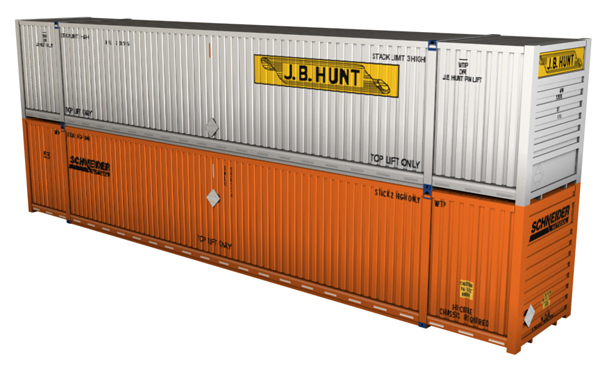 The Husky Stack and containers are performance-oriented models. 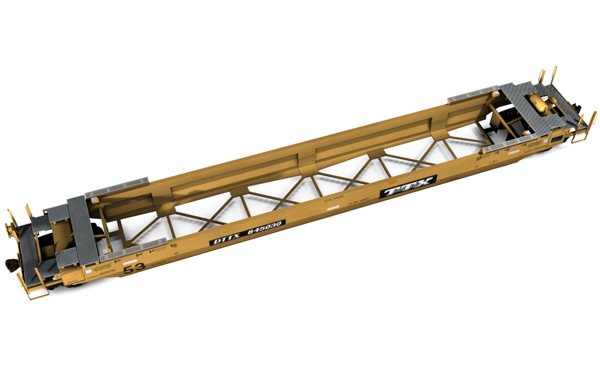 This model is made to maximize performance on weaker hardware by sacrificing aesthetic detail.